Tickets Bar takes diners on a slightly chaotic, creatively charged tapas funride through a world of miniature marvels. OK then, the olives. The meal begins with these legendary relics of elBulli, little spheres of the purest juiced olive that burst in your mouth in a way that has lost its surprise over the years but remains a taste sensation. Before you experience the olives though, you experience the restaurant. The waiting list is months long and confirmation emails come with dire warnings of the consequences for lateness. In a country where the concept of punctuality is, shall we say, more loosely defined than elsewhere, it must be jarring for locals to be forced into a strict 15-minute window of arrival under pain of cancellation. I, of course, with impeccable British punctuality, was late. I screwed up with Google Calendar and arrived, without knowing it, an hour after my appointed reservation. Fortunately a table had been kept for me. An awful table, admittedly, with no view of the show-cooking action going on behind the bar. Beside us was a family with a young baby. My heart sank – this was a night AWAY from kids for my wife and me – but the infant in question behaved like an angel. Forget about applauding the Adrià brothers, I felt like shaking the hands of the baby’s parents. It was, however, still one of the worst tables I’ve ever had at a Michelin-starred restaurant. Elbow-to-elbow with other diners, with waiters squeezing past in a constant hurry. This ever-so-casual style of seating and service is the fashionable face of dining, I know, but I’m getting on a bit; I like to be comfortable and to listen to the person I’m with, not the conversations of everyone around me. It does, yes, recreate the experience and atmosphere of a cheap and cheerful tapas bar but so would dubious hygiene in the toilets and I don’t see the Tickets team strewing the loo floor with wet bog roll in daring, experimental patterns. Not every part of the ‘authentic’ experience needs to be retained when it undergoes a big-budget recreation. A sommelier said hello and wandered off again, then an energetic and charming young waiter explained the way Tickets works: you can pick from the menu or, for an undisclosed sum, let him select dishes for you. We chose the latter and expressed interest in a possible wine pairing. The sommelier, however, was nowhere to be found so after waiting for ten minutes I just ordered a bottle of the Adrià-approved Damm Inedit beer. I won’t bore you with detailed descriptions of what followed. The post would be too long, and half the time I couldn’t hear the waiter over the din anyway. It was, however, a lot of fun. After the aforementioned olives, we got blackcurrant meringue churros with horseradish cream. And a summer tree, hung with stawberry ‘cherries’ in elderflower foam that you cut off using the pruning scissors provided, and pistachio ‘acorns’. After these snacks, we looked up at the plastic Virgin Mary figurine on the wall, surrounded by fake plants and butterflies and decided that it was best to not think too much about what was going here. You have to just relax and let it all happen. A completely un-filling (that’s a good thing, in this context) basil air waffle was unreasonably tasty given its lack of greasy goodness. ‘Pizza’ with buffalo mozarella burrata to be spooned on top. I had to move fast to get a chance to taste this as my wife was attacking it with some enthusiasm. Beautiful silver anchovy fillets on chicken skin toasts. A zingy torta de camerones (shrimp toast) with padrón pepper dust. I was enjoying the beer but wishing I had a manzanilla sherry, a feeling that intensified when delicious whipped manchego cheese in puffed up pastry airbags arrived, topped with a sliver of the unadulterated real thing. An ‘airbaguette’ that was as feather-light as the name suggests, wrapped not with ham as expected but cured – and mouthwateringly good – gallega beef. Foie gras escabeche with thyme, rosemary and crunchy sweetcorn. I know I said no descriptions but this was too good to leave unremarked upon. I’m not a foie fan, as regular readers will know, but this oniony, rich creation with perfect acidity was spectacular. A ‘Nordic landscape’ of cured beef with sweet pickles and vinegar snow was delicious but made me yearn for the real thing, which I suppose is sort of the point. Next up were two selections from Tickets’ ’round the world with oysters’ menu: ‘trips’ to Lima and Tokyo. The Japanese-themed oyster with a dash of iodic dashi was topped with salmon eggs, while the Peruvian variety featured ginger and tamarind. In the latter case especially, the flavour of the oyster was somewhat overwhelmed but that didn’t detract from the overall enjoyability. Smoked mackerel in a shitake dashi. Dishes like this reveal the subtle mastery of the Adrià brothers’ method: the precise control of seasoning and acidity is sublime. Smoked prawn: the head served separately to be sucked and savoured, the body to be dipped into hollandaise, and the suquet to be sipped. As wonderful as it looks. Crunchy-tender octopus with kimchee mayo and panko crumb, and a jar of sweet (but not very spicy) pickled chilis. The mushrooms were good but underwhelming, but the next dish fired the booster rockets and took us into orbit. A fatty, spicy, sticky citrusy roast suckling pig mini-sandwich. Then a Persian ‘chicken sequence’ that nearly choked my wife when she accidentally inhaled the acidic lime ‘air’ and was left wheezing with an inflamed throat for the rest of the evening. The dish itself wasn’t good enough to make up for the mishap: the almost-underdone skewer of chicken was lacklustre, though the jus-soaked cube of bread that came with it almost compensated. Cheesecake featuring white chocolate and some kind of ripe cheese (brie or coulommiers perhaps): looks great, tastes better. To finish: chocolate ‘eclairs’ with royaltine chocolate crunch, meringue and a hazelnut cream core. Bill for 2, including 2 beers and a coffee, was €233 plus tip. Tickets is a lot of fun. Its fame and reputation give it a licence to break the rules; sometimes that’s great, and sometimes its not. The chaotic atmosphere and seating arrangements might not be to everyone’s liking but get past that aspect (or embrace it) and you’re left with some startlingly good food. The young and good-looking staff all seem to be enjoying themselves, despite being borderline overworked at times, and do a great job of settling people into what could easily be a disorienting experience. Once you’re eating, the dishes aren’t as whizz-bang wacky as you might expect; you’ll find as much or more inventive use of modern methods at a number of other top Barcelona restaurants. But if Tickets isn’t trying to be elBulli in terms of technique and sheer unlikeliness of taste combinations, it certainly captures its sense of playfulness. If my kids were slightly older, I’d bring them here. They’d love it. Personally, I prefer the slightly more comfortable atmosphere of somewhere like Disfrutar, but there’s no doubt that Tickets has a lot of character and will utterly charm the vast majority of its customers. Everyone with an interest in food who comes to Barcelona should visit Tickets at least once. Tickets Bar: Avinguda del Paral·lel 164, 08015, Barcelona; No telephone; reservas@ticketsbar.es; Metro Poble Sec; Closed Sundays. Reservations must be made through website 2 months in advance. 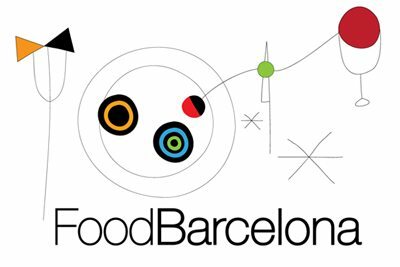 Find Tickets on the FoodBarcelona restaurant map.